It’s Thursday! Time for another Throwback Thursday, blog post edition. Today features one of the easiest tutorials I have ever posted on my site. 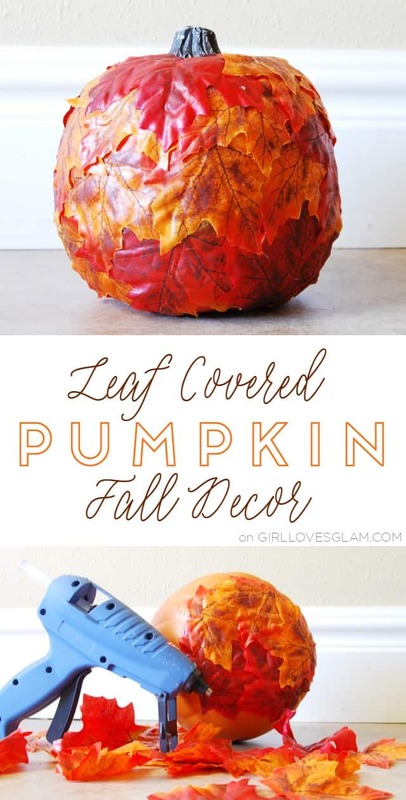 This leaf covered pumpkin fall decor is not only easy to create, but it is down right adorable too. I love that it can be used both as Halloween and Fall decor. I don’t have to pack it away once Halloween is over. I really want to find different varieties of leaves and pumpkins to add to my collection as well! I am all about embracing dirty hair for a few days after I have washed it so that I don’t have to damage it as much by straightening it everyday. 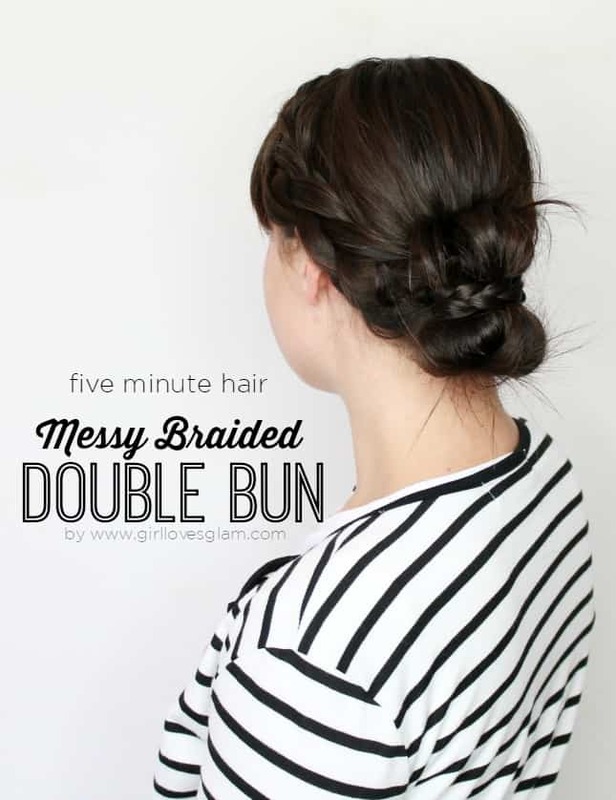 That is why I love this Messy Braided Double Bun that I am sharing with you today! It is perfect for second or third day hair before you wash it again and it takes just about five minutes to do, depending on how quickly you can braid. 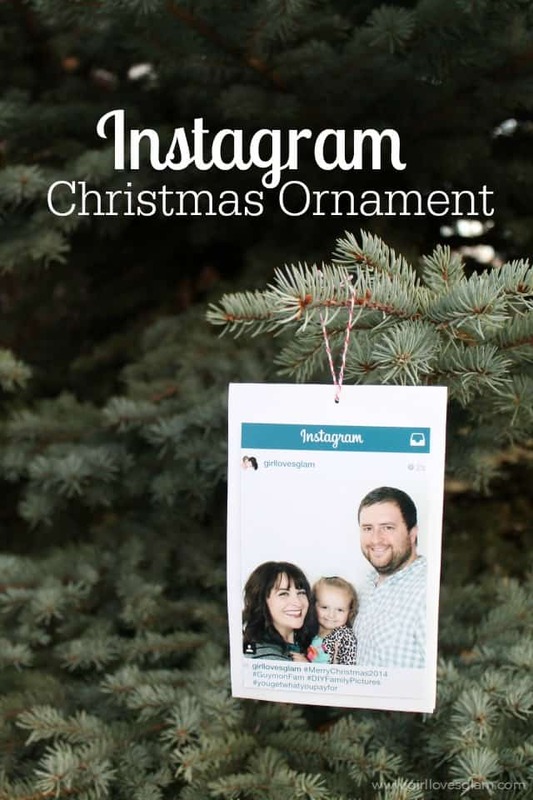 Instagram Christmas Ornament UNDER $2! It is probably no surprise to you that I am a huge fan of Instagram. It quickly became my favorite form of social media and is still my very favorite! I love the gorgeous photos people put on their feed. I also enjoy finding new, interesting people to follow as well. I am also a sucker of hashtags when it comes to Instagram. I use them in their proper form so that my photos will be categorized, but I am also a fan of the “tongue in cheek” hashtags that happen within the Instagram culture. That’s why I knew that I needed an Instagram Christmas ornament for my tree this year! I have naturally curly hair, but wear it straightened out most of the time. When I straighten my hair out, I am basically committing that I am not going to wash my hair for a few days because straightening my entire head everyday is so bad on my hair. It is good for me to have a few hairstyles that I know would look good on my 2nd or 3rd day after straightening my hair, without getting out the curling wand or flat iron again. 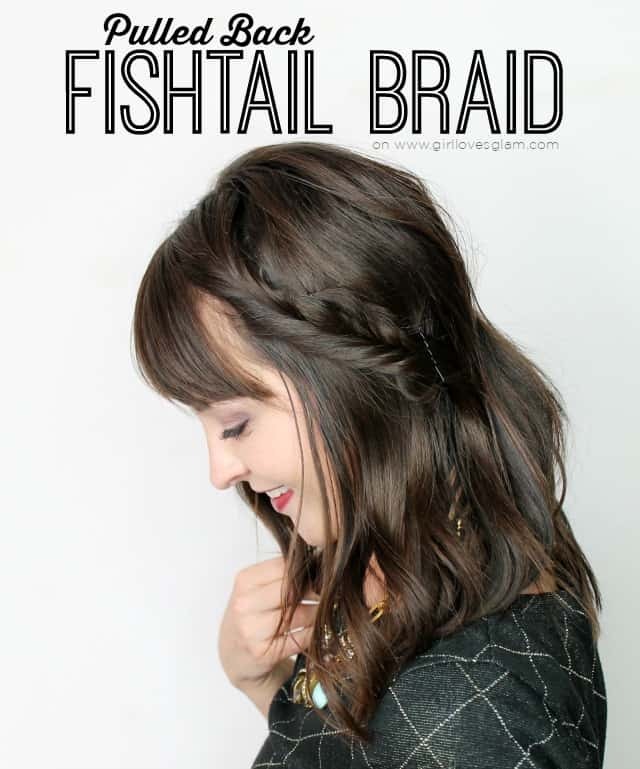 I love the look of fishtail braids, but don’t necessarily love the look on me when all of my hair is pulled back into one. I decided to have the best of both worlds by keeping my hair down and doing a fishtail braid as well! 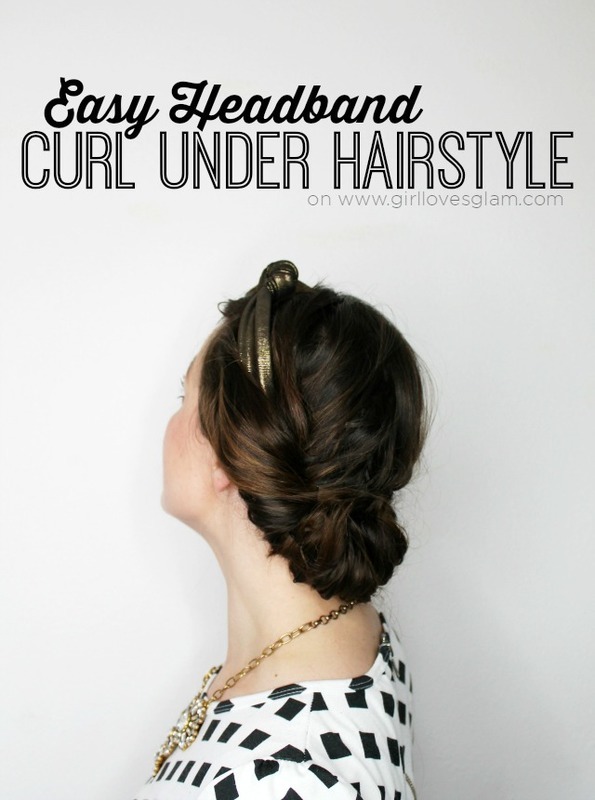 It takes about five minutes and adds some sass to a boring hair day. 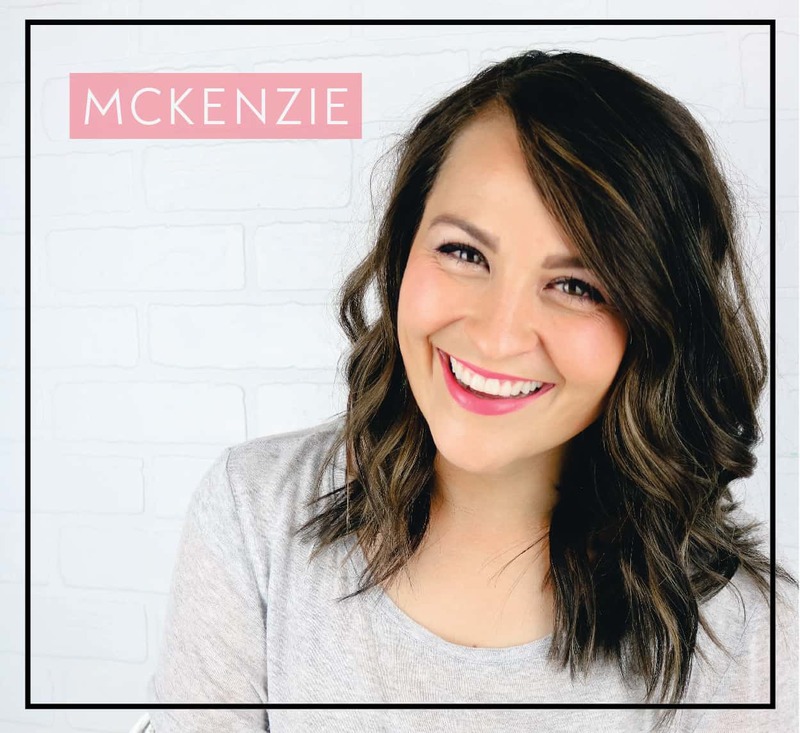 I am so excited to bring you a brand new series I am starting called….. I know you are all just as busy as I am. Some days ain’t nobody got time to do their hair! 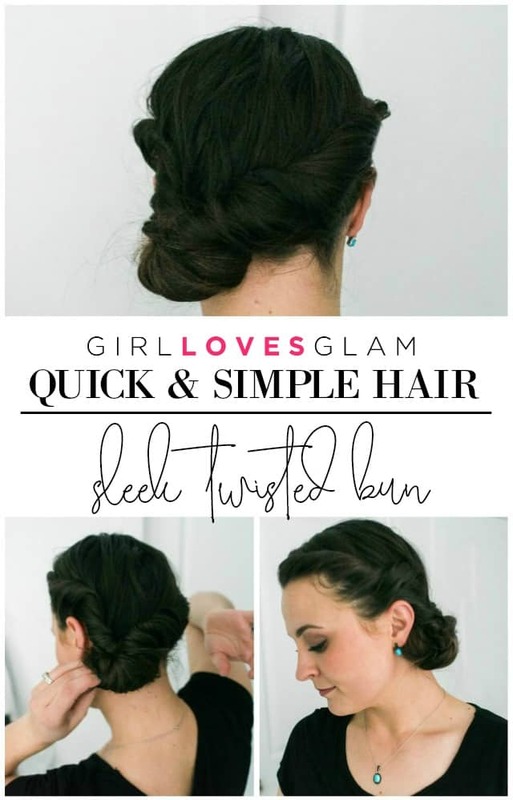 That is why I am going to be sharing some of my very favorite hair styles with you that only take 5 minutes to do! I will be sharing one of these styles with you once a month! They will have step by step pictures AND sometimes a video so you can totally master them! I filmed a video that accidentally deleted for this hairstyle, but I have confidence that you can master it without the video! 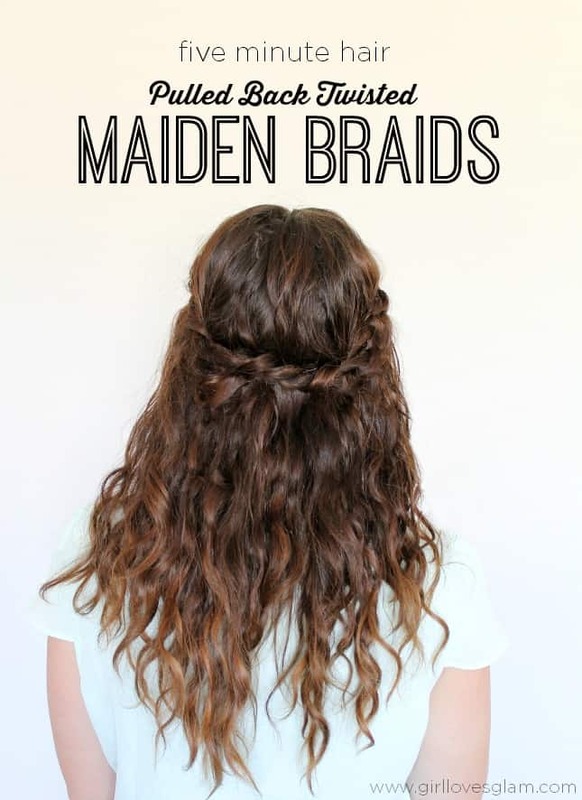 To start out the series, I am going to share my go to hair style for busy days… Pulled back twisted maiden braids! It is that time of year! Time to break out the charcoal, grab some friends, and get your BBQ or potluck on! 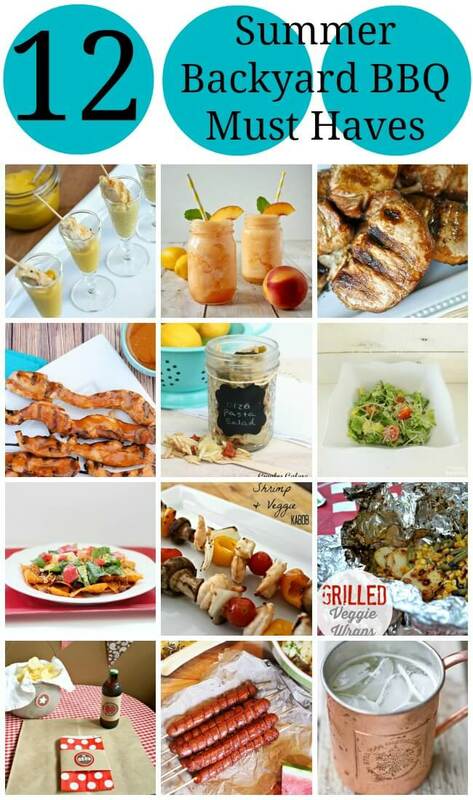 I am participating in a super fun blog hop today that is all about the summer backyard BBQ! Aren’t all of those fabulous? 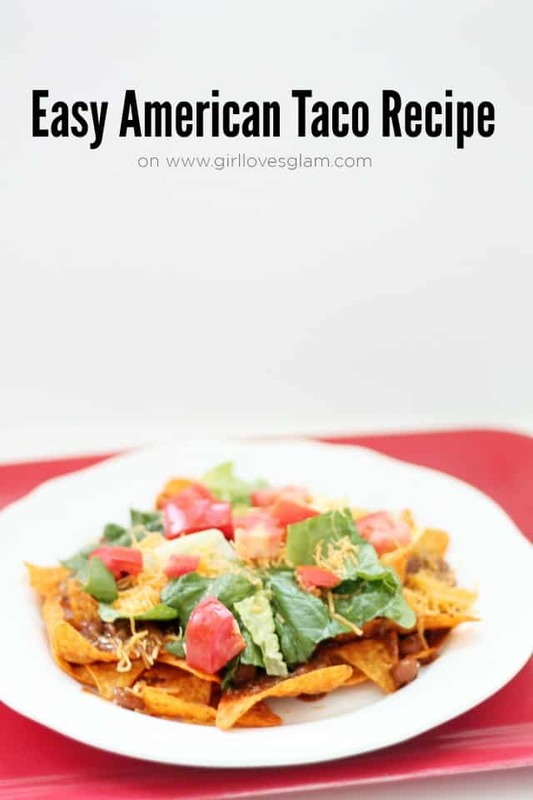 I am sharing my easy recipe for American Tacos. 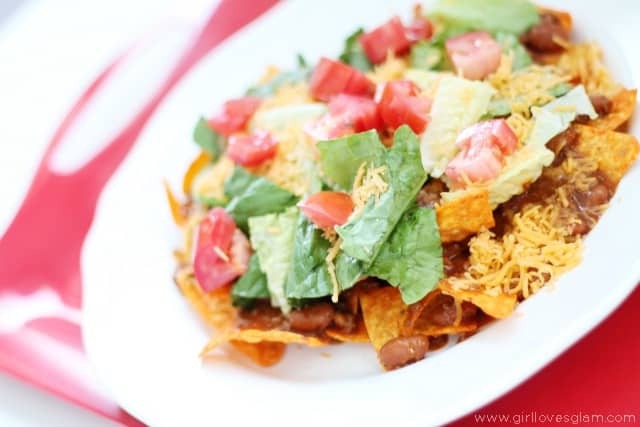 These would work perfectly for a potluck dinner or as a walking taco if you use a small bag of chips and put the toppings in the bag with them. We eat these for dinner all of the time because they can be made in no time at all. 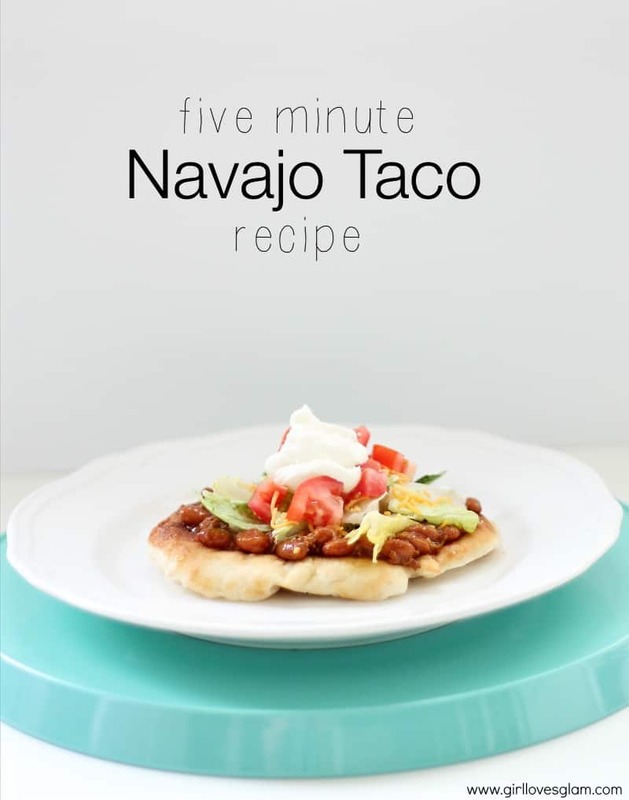 They are delicious and easy to make! Heat up chili on the stove. 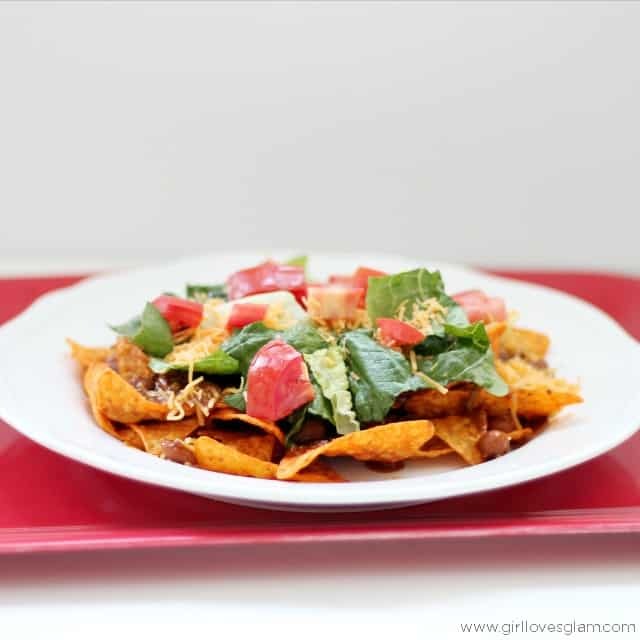 Lay chips on your plate and layer the chili on top of your chips. Add your toppings on top of the chili. 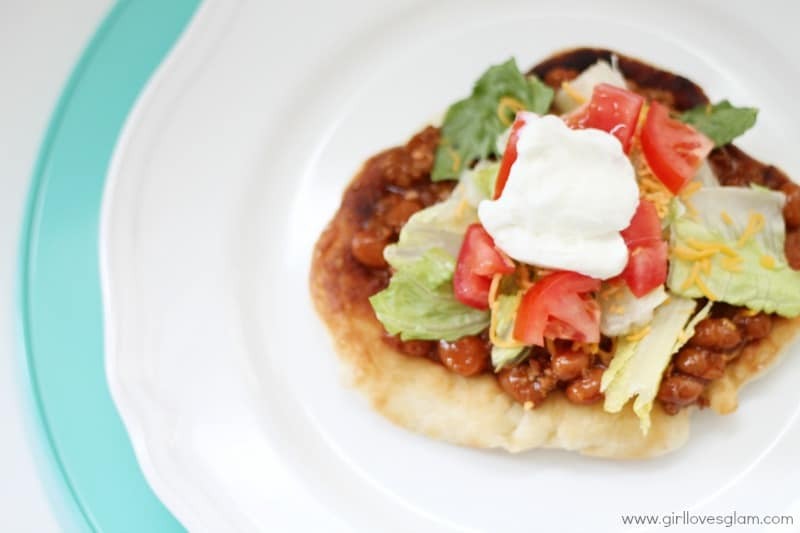 I hope your family and friends like these delicious tacos as much as we do! Enjoy your summer and go get your BBQ on! Ya know when you are sitting around on Sunday trying to figure out what to make for dinners for the week? Ya know when you ask your husband for his opinion and he just says something generic like, “I like whatever you cook” that leads you nowhere? Well that was me. Sometimes it still is. 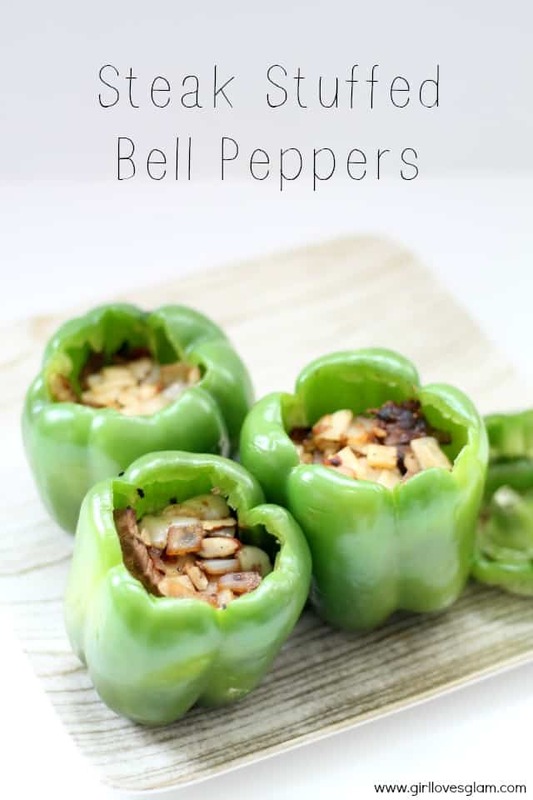 BUT now that my husband has tried these steak stuffed bell peppers, this is usually his answer when I ask him what he wants for dinner. He loves these! In fact, the entire family loves these! 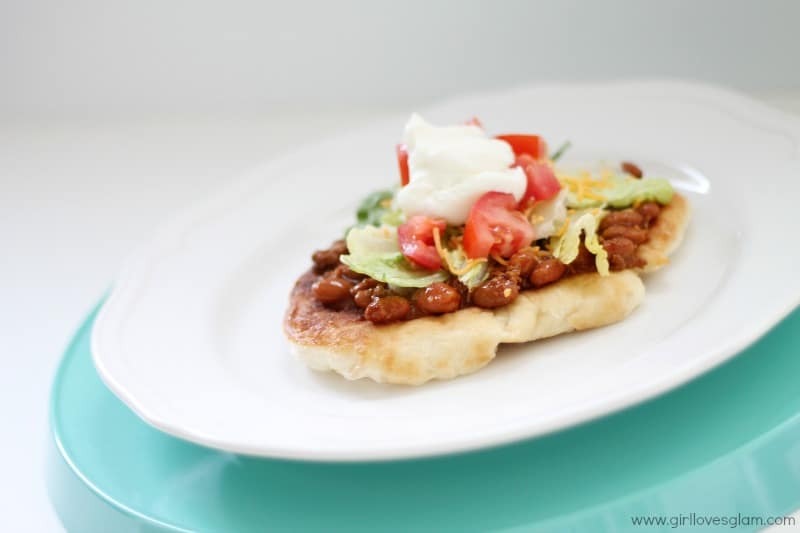 They are delicious, healthy, filling, and easy to make! What more could you ask for? I love the combination of flavors that happens in these peppers. 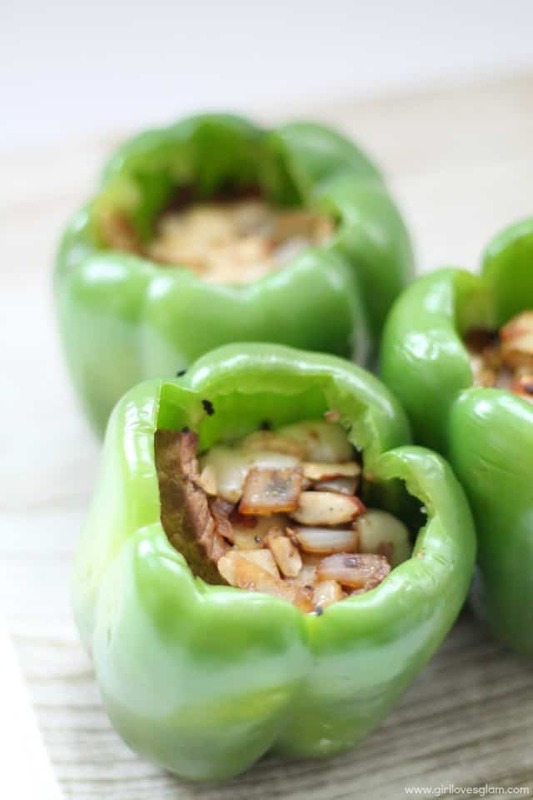 The steak mixes well with the onions, almonds, and cheese to create something really special. Cook meat on medium heat. Once meat is almost fully cooked, add onions to the pan and cook together until meat is fully cooked and onions are soft. Cut the top of the bell peppers off and hollow them out. Set the tops of the peppers aside for later. In a bowl, mix almonds, cheese, and steak seasoning together. Add meat and onions to the bowl and mix all together. 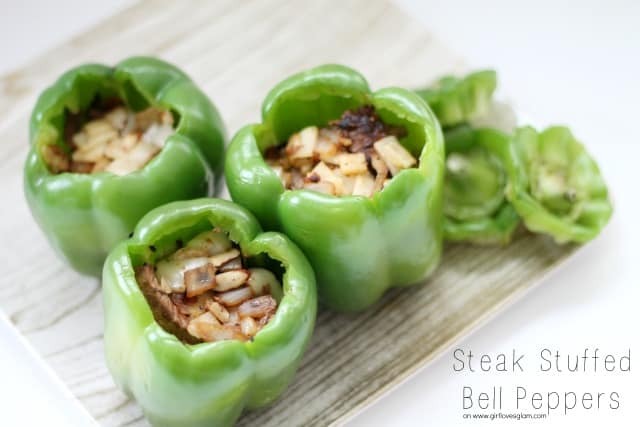 Use a spoon to fill the bell peppers with the stuffing mixture. Fill them to the top. Place the tops of the peppers on them like a lid. Place filled peppers on a baking sheet and bake at 375 degrees for about 10 minutes. Let the peppers cool down a little, remove the tops of them and enjoy! We usually cut them in half and eat them that way. They are delicious!